Shahsavarani, A., Noohi, S., Heyrati, H., Mohammadi, M., Mohammadi, A., Sattari, K. (2016). Anger Management and Control in Social and Behavioral Sciences: A Systematic Review of Literature on Biopyschosocial Model. International Journal of Medical Reviews, 3(1), 355-364. Amir Mohammad Shahsavarani; Sima Noohi; Habibeh Heyrati; Mostafa Mohammadi; Alireza Mohammadi; Kolsoum Sattari. "Anger Management and Control in Social and Behavioral Sciences: A Systematic Review of Literature on Biopyschosocial Model". International Journal of Medical Reviews, 3, 1, 2016, 355-364. Shahsavarani, A., Noohi, S., Heyrati, H., Mohammadi, M., Mohammadi, A., Sattari, K. (2016). 'Anger Management and Control in Social and Behavioral Sciences: A Systematic Review of Literature on Biopyschosocial Model', International Journal of Medical Reviews, 3(1), pp. 355-364. Shahsavarani, A., Noohi, S., Heyrati, H., Mohammadi, M., Mohammadi, A., Sattari, K. Anger Management and Control in Social and Behavioral Sciences: A Systematic Review of Literature on Biopyschosocial Model. International Journal of Medical Reviews, 2016; 3(1): 355-364. Introduction: Anger is considered as one of the most important and impressive emotions throughout human ontogenic and phylogenic history. Anger management is one the main domains of psychology which does not work on triggers, but on reaction to them, so that any given individual which is frequently excited with internal and external activating provocations, can restraint and control her/his anger. The aim of the present study was to systematically reviewing research literature about anger management in order to investigating and identifying varied methods of anger management and control in Persian and non-Persian sources. Methods: In the present systematic review, keywords include “anger, anger management, anger control, anger restraint, anger handling, coping with anger, anger reduction, anger prevention, anger avoidance, escape from anger” was searched in “PubMed, ScienceDirect, Google Scholar, Google Patent, MagIran, SID, Proquest, Ebsco, Springer, IEEE, Kolwer, & IranDoc” search engines and according to relation to study parts, academic publishing, publishing after 1990 and Jadad system relevant sources were selected. The manuscript then, finalized by evaluation of five experts in anger domain via Delphi method. Results: Systematic literature review of anger management revealed five major methods in CBT, three Islamic, and one eclectic method of anger management in clinical settings. of different anger management methods in varied population sectors. Scott W, Trost Z, Bernier E, Sullivan MJL. Anger differentially mediates the relationship between perceived injustice and chronic pain outcomes. Pain. 2013;154(9):1691-8. Deffenbacher JL. Cognitive-Behavioral Conceptualization and Treatment of Anger. Cognitive and Behavioral Practice. 2011;18:212-21. Ata S, Akman B. The Trait Anger and Anger Explanation Styles of Preschool Teachers. Procedia- Social and Behavioral Sciences. 2012;46:5163-7. Jang D, Elfenbein HA. Emotion, perception and expression of. In: Wright JD, editor. International Encyclopaedia of the Social & Behavioral Sciences 2 ed. Cambridge, MA, USA: Elsevier; 2015. p. 483-9. Trost Z, Vangronsveld K, Linton SJ, Quartana PJ, Sullivan MJL. Cognitive dimensions of anger in chronic pain. Pain. 2012;153(3):515-7. Shahsavarani AM, Noohi S. Explaining the Bases and Fundamentals of Anger: A literature Review. 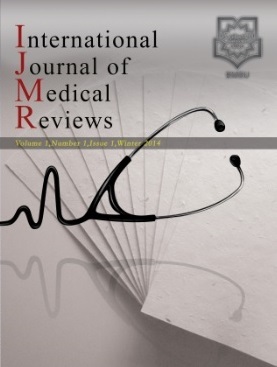 International Journal of Medical Reviews. 2014;1(4):143-9. Benavidez DC, Flores AM, Fierro I, Álvarez FJ. Road rage among drug dependent patients. Accident Analysis & Prevention. 2013;50:848-53. Balouch HR. The power of emotional intelligence. Qom, Iran: Sobh-e Sadeq Publications; 2014. Kumtonkun JS, Patterson PG, McColl-Kennedy JR. Customer Rage Back-Story: Linking Needs-Based Cognitive Appraisal to Service Failure Type. Journal of Retailing. 2013;89(1):72-8. Liang Y, Jian J, Chen C, Hsu C, Shih C, Leu J. Combination treatment to attenuate high glucose-induced receptor for advanced glycation end products (RAGE) expression. European Journal of Pharmacology. 2013;715(1-3):33-8. Reidy DE, Shelley-Tremblay JF, Lilienfeld SO. Psychopathy, reactive aggression, and precarious proclamations: A review of behavioral, cognitive, and biological research. Aggression and Violent Behavior. 2011;16(6):512-24. Contrada RJ, Baum A. The Handbook of Stress Science: Biology, Psychology, and Health. New York, NY, USA: Springer Publishing Company; 2011. Williams C, Richardson DS, Hammock G, S., , Janit AS. Perceptions of physical and psychological aggression in close relationships: A review. Aggression and Violent Behavior. 2012;17(6):489-94. Piquero AR, Carriaga ML, Diamond B, Kazemian L, Farrington DP. Stability in aggression revisited. Aggression and Violent Behavior. 2012;17(4):365-72. Hamdan-Mansour AM, Dardas LA, Nawafleh H, Abu-Asba MH. Psychosocial predictors of anger among university students. Children and Youth Services Review. 2012;34(2):474-9. Siewert K, Kubiak T, Jonas C, Weber H. Trait anger moderates the impact of anger-associated rumination on social well-being. Personality and Individual Differences. 2011;51(6):769-74. Petticrew M, Roberts H. Systematic reviews in the social sciences. New York, NY, USA: Wiley Blackwell; 2006. Valentine JC, Pigott T. D., Lau T. Systematic reviewing and meta-analysis. In: Wright JD, editor. International Encyclopaedia of the Social & Behavioral Sciences 2 ed. Cambridge, MA, USA: Elsevier; 2015. p. 906-13. Jadad AR, Murray E. Randomized Controlled Trials: Questions, Answers and Musings (2nd Ed.). New York, NY, USA: Blackwell; 2007. Green KC, Armstrong J, Graefe A. Methods to Elicit Forecasts from Groups: Delphi and Prediction Markets Compared. Foresight: The International Journal of Applied Forecasting. 2007;4999(23):1-7. Albert M. Delphi Method: 48 Most Asked Questions on Delphi Method - What You Need to Know (Success Secrets). Brisbane, QLD, Australia: Emereo Publishing; 2014. Reidy DE, Wilson LF, Sloan CA, Cohn AM, Smart LM, Zeichner A. Psychopathic traits and men’s anger response to interpersonal conflict: A pilot study. Personality and Individual Differences. 2013;55(8):957-61. Goldstein NES, Serico JM, Romaine CLR, Zelechoski AD, Kalbeitzer R, Kemp K, et al. Development of the Juvenile Justice Anger Management Treatment for Girls. Cognitive and Behavioral Practice. 2013;20(2):171-88. Storch EA, Jones AM, Lack CW, Ale CM, Sulkowski ML, Lewin AB, et al. Rage attacks in paediatric obsessive-compulsive disorder: Phenomenology and clinical correlates. Journal of the American Academy of Child & Adolescent Psychiatry. 2012;51(6):582-92. Mike K, MacAlister L, Callister R, Geddes D. Soldiers of crossing The Line: A Dual Threshold Model of Anger in Organizations. Annual Bulletin of Academic Management Review. 2011;36(3):721-46. Dhumad S, Wijeratne A, Treasaden I. Violence against psychiatrists by patients: Survey in a London mental health trust. Psychiatric Bulletin. 2011;40:371-4. Pieters G, Speybrouck E, De Gucht V, Joos S. Assaults by patients on psychiatric trainees: Frequency and training issues. Psychiatric Bulletin. 2010;38:168-70. Naeem F, Clarke I, Kingdon D. A randomized controlled trial to assess an anger management group programme. The Cognitive Behaviour Therapist. 2009;2:20-31. Marangell LB. Prospective predictors of suicide and suicide attempts in 1, 556 patients with bipolar disorders followed for up to 2 years. Bipolar Disorders. 2009;12:566-75. McNiel D, Chamberlain J, Weaver C, Hall S, Fordwood S, Binder R. Impact of Clinical Training on Violence Risk Assessment. American Journal of Psychology. 2008;165(2):195-200. Glomb TM. Workplace anger and aggression: Informing conceptual models with data from specific encounters. Journal of Occupational Health Psychology. 2005;7:20-36. Novaco RW, Chemtob CM. Anger and combat-related posttraumatic stress disorder. Journal of Traumatic Stress. 2002;15:123-32. Association AP. Controlling Anger before it controls you. Washington, DC, USA: APA Press; 2013. Williams RB, Williams VP. Anger kills: Seventeen strategies for controlling the hostility that can harm your health. New York, NY, USA: Harper Torch; 1998. Kleinke CL. Coping with life challenges. Chicago, IL, USA: Waveland Pr Inc.; 2002. Lazarus RS, Folkman S. Stress, appraisal, and coping. New York, NY, USA: Springer; 1984. Novaco RW, Swanson RD, Gonzalez OI, Gahm GA, Reger MD. Anger and post-combat mental health: Validation of a brief anger measure with U.S. soldiers post-deployed from Iraq and Afghanistan. New York, NY, USA: Psychological Assessment; 2012. Froggat W. The rational management of anger: A cognitive-behavioural approach to helping people manage hostility and rage. Hastings, New Zealand: New Zealand Centre for Cognitive behaviour Therapy; 2006. Jazayeri AQ. Assays in Islamic ethics. Qom, Iran: The center for Cultural Research and Studies of Qom Seminary; 2004. Makarem Shirazi N. Tafsir Nemouneh. Tehran, Iran: Dar Al-kutub Al-Islamiyah; 2013. Shahsavarani AM, Noohi S. Anger and anger management from the viewpoint of religion: Systematic review on anger and anger management in islamic and other religious literature. Quran and Medicin. 2016;[Article in Press]. Fayz Kashani M. Bright way (Mohjat-al-beyza fi ihya'' ulum al-din). Mashhad, Iran: Qods Razawi Foundation of Islamic Researches; 2003. Zokar S. Encyclopedia of religions, theories, beliefs, sects, clans, and cults from beginning of the history until present time. Damascus, Syria: Dar Al-Koutob Al-Arabi 1997. Daryaei M. Medical and health teachings of Imam Reza (PBUH): Scientific analyses of Tib al-Reza according to modern medicine. Tehran, Iran: Osveh Publications 2013. Madjlesi MB. Behar al-anvar (Al-Jami’e al-samahah hadayat Allah al-mostarhami al-jarquni). Tehran, Iran: Dar Al-Haya Al-Torath Al-Arabi 1975. Shokouhi Yekta M, Faqihi AN, Zamani N, Parand A. Anger management according to Islamic teachings and modern psychology. Islam and psychology Studies. 2010;3(3):43-63. Elbogen E, Van Dorn R, Swanson J, Swartz M, Monahan J. Treatment engagement and violence risk in mental disorders. British Journal of Psychiatry. 2010;200:354-60. Simon R, Shuman D. Clinical Manual of Psychiatry and Law. Washington, DC, USA: American Psychiatric Publishing, Inc.; 2011. Sadock BJ, Sadock VA. Kaplan & Sadock''s Comprehensive Textbook of Psychiatry, 8th Edition. Philadelphia, PH, USA: Lippincott Williams and Wilkins; 2005. Currier G, Medori R. Orally Versus Intramuscularly Administered Antipsychotic Drugs in Psychiatric Emergencies Journal of Psychiatric Practice. 2006;12(1):30-40. Lamb H, Weinberger L. The shift of psychiatric inpatient care from hospitals to jails and prisons. Journal of American Academy of Psychiatry and Law. 2010;38(4): 529-34. Novaco RW. Anger control therapy. In: Zimmar G, editor. Encyclopedia of Psychotherapy. New York, NY, USA: Academic Press; 2010. p. 41-8. Shahsavarani AM, Noohi S, Jafari S, Hakimi Kalkhoran M, Hatefi S. Assessment & Measurement of Anger in Behavioral and Social Sciences: A Systematic Review of Literature. International Journal of Medical Reviews. 2015;2(3):279-86. Neel R, Becker DV, Neuberg SL, Kenrick DT. Who expressed what emotion? Men grab anger, women grab happiness. Journal of Experimental Social Psychology. 2012;48:583-6. Burns JW, Jphnson BJ, Devine J, Mahoney N, Ronald P. Anger management style and the prediction of treatment outcome among male and female chronic pain patients. Behaviour Research and Therapy. 1998;36:1051-62. Brebner J. Gender and emotions. Personality and Individual Differences. 2003;34:387-94.